Congratulations to Bod, Steve and team - the "Biggles Biplane" flies again! See the Biggles Biplane website for the aircraft's story. Last edited by DamienB on Tue 10 May 2011, 7:56 pm, edited 1 time in total. 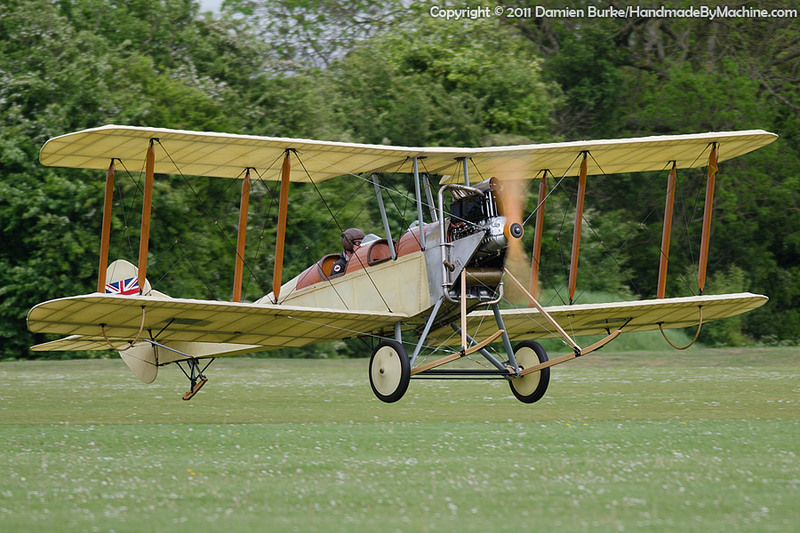 Re: Biggles Biplane BE2 airborne! Great to see Damien !! I can truely say I was weaned into my aviation passion by reading Biggle's adventures back in the 60's. I still have 'Biggles, Pioneer Air Fighter', a book I was entranced by as a kid !! Would love to see this aeroplane, looks fantastic. Is it taking part in any Airshows this year? Looks great! What's the scale, about 3/4 full size?